The Telegraph serves news to millions of people around the world, reaching 160 years in 2015. The digital products were outdated and well behind the competition, requiring a complete design overhaul to coincide with the milestone. I worked on the visioning for the new website, along with several product innovations across mobile and web. A very collaborative approach with product owners, working with mulitple stakeholder teams to ensure the needs of editorial and commercial were captured. Close working relationships with researchers provided insight into the user experience, driving feature innovations in each design iteration. The Telegraph has an unusual set-up where User Experience Designers and Digital Designers report to seperate teams, which added a layer of complexity to the process. Sport is heavily scheduled, with every Live event planned for the next year or two. Insight revealed that users habitually search for 'BBC Sport' in search engines to view Live events. Adding calendar functionality for users to save events helps pull them back to The Telegraph for live coverage. The concept can be utilised across Lifestyle channels to promote cultural events. Qualitative and competitior research validated the need for the development of Video as a seperate destination. Understanding the commercial requirements and the experience of users within video helped identify opportunities for innovation. An example of this is how the video player reduces and fixes on scroll, ensuring 100% visibility for both the pre-roll advertisement and video content, whilst the user browses the page. A recent trend in digital products is Bots. Whilst it is often a frustrating experience for users, there is less complication when the subject is hyper-specific - for instance a Bot that is designed for a single football team. I have worked on an experience that provides live match updates to users, along with stories and statistics, while also offering a layer of humour - which is appropriate to Sport culture. Article page view numbers are going down - a trend found across the media publication industry. I have been working closely with product, MVT and prototyping specialists to run several experiments. These have been executed on the live website to large audience numbers to see what impact features can make. The massive design overhaul and site migration was a huge change for the organisation. It was painful at times seeing aggressive prioritisation for the MVP, but necessary to meet deadlines. 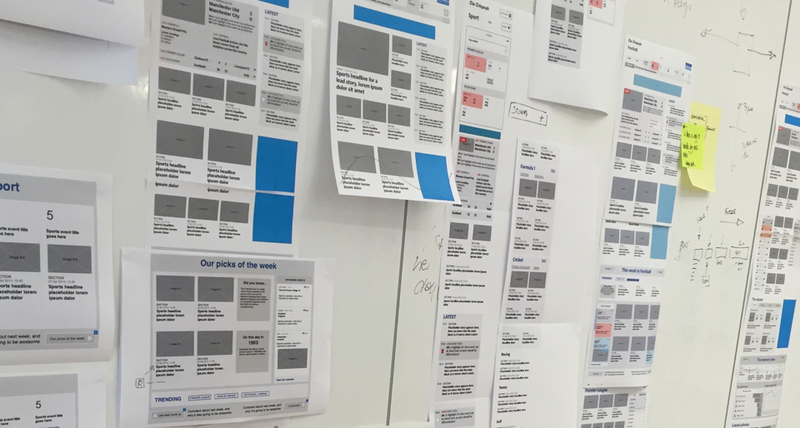 The next phase is for the business to iterate and optimise designs to ensure the best user experience and achieve business goals, with plenty of strong features in the backlog. You can read the introduction on The Telegraph for more information. It's been an incredible effort by all the teams involved. 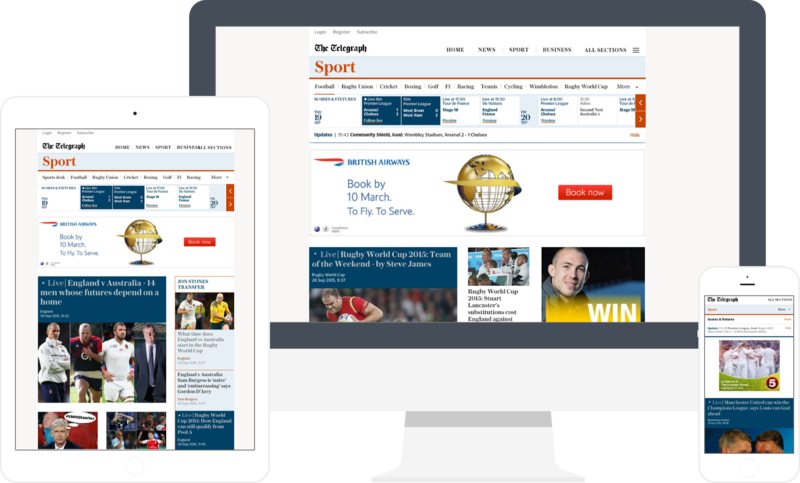 Our readers can enjoy a smart, modern, clean and engaging new site. And our journalists benefit too, from an infinitely better set of tools. This of course is not the end. We all share the ambition to make the new site even better and even more engaging.